I fell in love with this stone but I'm not really sure what to call this color. It's a combination of brown and orange with slightly peach undertones. 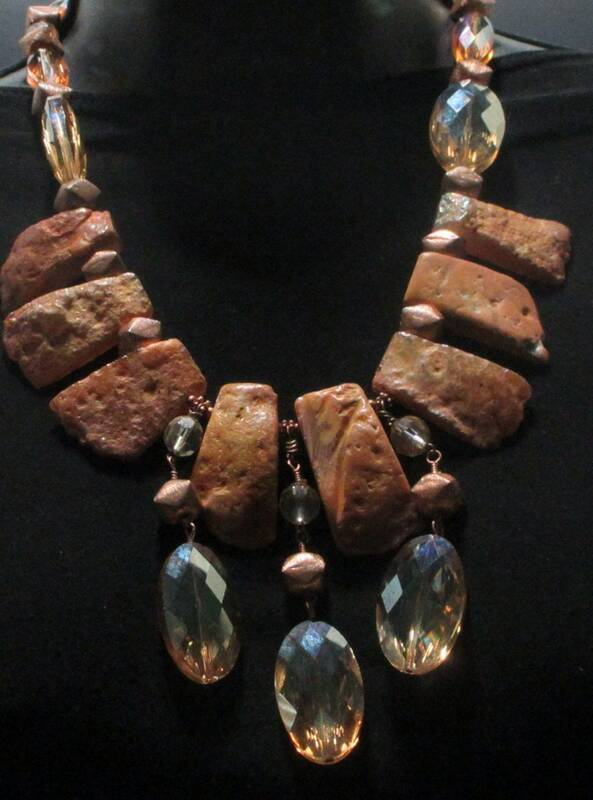 They have a rough texture to them which compliments the smoothness of the peach crystals and the copper beads. 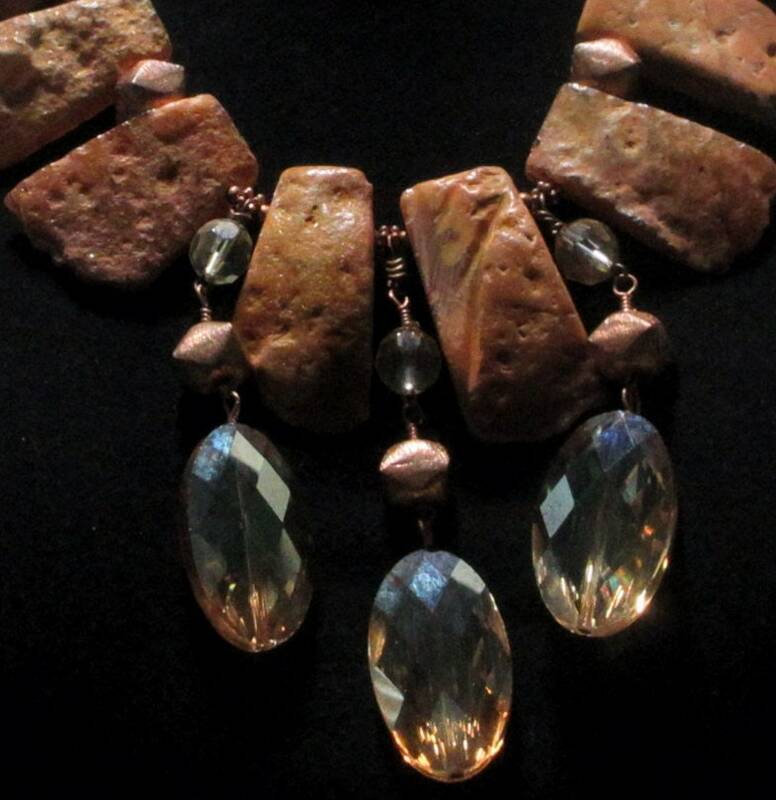 The necklace is 20" long and features a handmade hammered copper clasp. 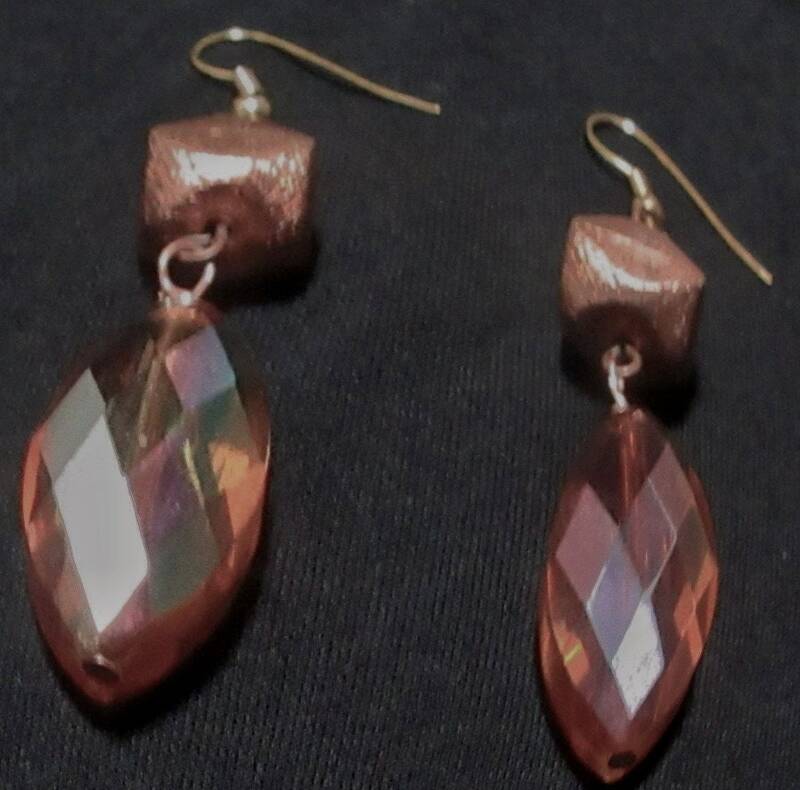 The earrings are 2.5" long and are made from some vintage glass crystals I bought a long time ago, but they're a perfect match!